Sir Michael Caine has shared that earlier in his career he was advised to turn down roles where he played a gay character. Having made films for over five decades Michael Caine has been in over 125 different movies. His newest outing King of Thieves sees him teaming up with Ray Winstone, Tom Courtney, Michael Gambon and Jim Broadbent for a real-life tale about some bank robbers who are much older than your average thief. While out promoting the new film, Caine told Rolling Stone that he was advised to turn down roles in the film Deathtrap and California Suite because the character he was portraying was gay. The actor told the magazine that he was confident that audience would remember that he was just an actor. In the interview Caine said the neither he or co-star Christopher Reeve has ever kissed a man before their shot their love scene in Deathtrap. “Neither of us had ever kissed another man before, so we drank a couple of brandies. Then when it came time for the dialogue, we couldn’t remember it. So the kiss was a bit of a disaster.” Caine said. At 85 the actor shows no signs of heading to retirement. 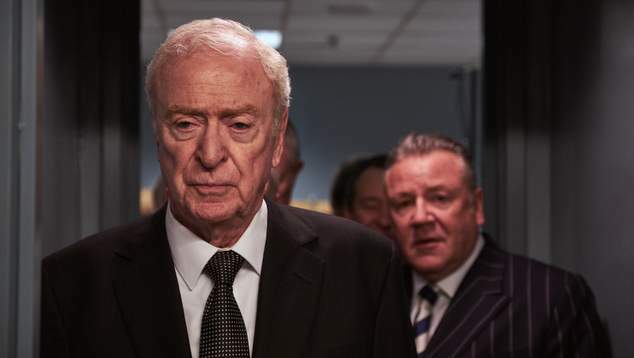 King of Thieves will be coming to Australian cinemas soon and Caine has three more films in post-production already.